Bead Size 5-15 mm diameter. See picture with penny for size comparison. Photo is an example, yours will be similar. 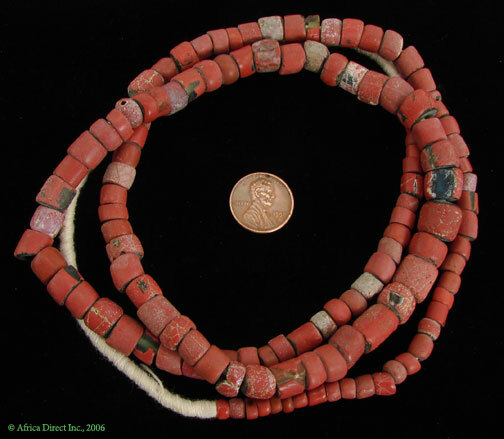 GREAT old "Green heart" beads traded in Africa. 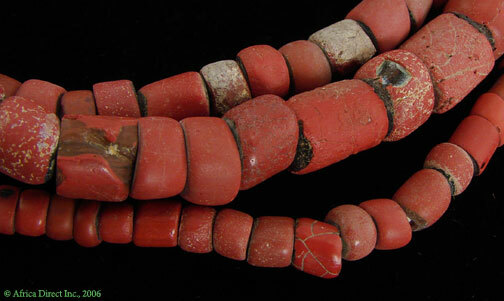 These were also traded in the Americas and are also called Hudson Bay beads.